Home » President Ivanov says No! 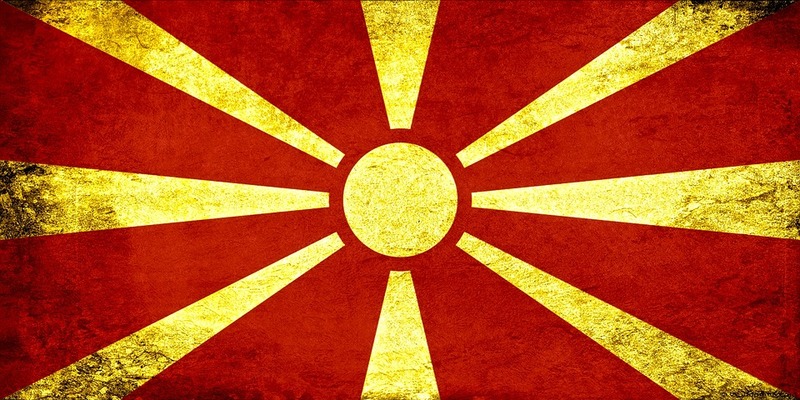 One again, Macedonia has given a lesson to the world and saved its independence. It was a lesson in courage, leadership, constitutional law, and national sovereignty. This time the lesson was given by President Gjorge Ivanov, a great intellectual and a great statesman. In the last few days, Macedonia was hit by the combined pressures and threats from the usual suspect, Ambassador (not for much longer) Jess Baily, NATO’s temporary satrap Jens Stoltenberg, a swarm of hyperactive hyper-hysterical British officials and agents of influence, like the dynamic meddling duo Mia & Lawrence Marzouk and the minister Alan Duncan, and even the Obama Administration leftover, the “acting” (not for much longer, it seems) US State Department spokesperson Mark Toner… and many others. All these representatives of the fake & rapidly disappearing “international community” concentrated their fire power on President Ivanov with the demand: Ivanov must (“must”) give the mandate to form the new government to Zoran Zaev “without delay”. Not even the British viceroy of India would have dared to talk like this to his colonial underlings! This dirty trick to nullify the will of the people was performed this time using the Prime Minister of Albania, Edi Rama, who organized (under the direction of international community’s puppeteers) a meeting of the well-controlled “Albanian” leaders to issue the fake “Albanian platform” that was supposed to disintegrate Macedonia and start a process of social and ethnic violence to evoke the ghost of the Balkan wars. Not only did Ivanov not surrender; he attacked openly and in a principled way those who were planning greater destabilization. Now the authors of the plot are scared. Time is against them and they have encountered resistance they did not expect. The “international community”, not Macedonia, is melting fast like snow under a hot sun. In fact, time is against the plotters. The establishment that reigned in the West for decades, exemplified by the opposite and equal Bush and Clinton dynasties and the anti-European Brussels bureaucrats, is rapidly losing power. Their little hateful and megalomaniac psychopath, George Soros, is losing his mind. That is why, like losing gamblers, they escalate their assaults. They need to create as much chaos, violence, and destabilization as possible. If nothing else, to simply show that they are still in charge. This leads to many mistakes, and the more they get agitated, the more the hanging noose of history tightens around their neck. With the election of Donald Trump, they are rapidly losing control of the US. They don’t realize that even the top Anglo-American elite doesn’t need anymore a large establishment capable only of looting the real economy and calling for new unending wars and new destabilization of foreign countries. They have weakened the real economy and the state structure of the US so that they have become useless, and dangerous even for those who intended to use the US power in order to protect their interests. Like an old, losing mafia structure, they have to be “cleaned up”. The cries of rage and pain we see in the US media, in Congress, in the old Clinton machine inside the Democratic Party, and in the circles of John McCain & Co. in the Republican party, the dirty tricks, the street violence directed by the breaking Soros machine – all this is not a sign of strength, it is a sign of weakness. With time their operations inside and outside the US will be less and less relevant, even if at the moment they try to make the world believe they are tough and scary. Donald Trump is not a humanitarian whose mission is to solve the problems of the world. But it is abundantly clear that his mission – the reason he was elected - is to “clean up” and to re-launch the economy and the state structure of the US. In fact, the clean up phase will be relatively easy compared to the re-creation of a solid productive economy almost successfully dismantled by the insanity of the financialization, i.e., the illusion that money comes from money, wars, and dirty tricks instead of from labor and investments in real economy. But, exactly because Trump will have to re-launch a real economy in the US, he constitutes a very positive element for the many nations victimized by Soros and the ancient regime. Most of the battles Trump will have to fight are internal battles. When he talks of fight against ISIS and terrorism, a non-superficial observer realizes this is as much a fight inside the family as it is a foreign war. So-called modern terrorism, at least since Bin Laden’s Afghanistan, has been a way to wage “untraceable” forms of warfare. Now, these surreptitious forms of warfare are considered useless and counterproductive. But the fight between these two concepts is reaching the top level of intelligence agencies. There the clean up is to take place. For the moment this has been an information or “leaks” war with incriminating revelations coming not from far away (the mythology of Russia, the great enemy) but from inside the apparatus of the state. The same is true for the war on drugs, the fight against the violent gangs that control many of US cities’ ghettos or downtowns. Gangs are there for one reason: to distribute narcotics of any kind. This is a great amount of money that has destroyed the mind of people and threatens the resurrection of a real economy. Many inside agencies and inside state apparati are believed to be eating from this dirty bowl. They have to be stopped. The US of Trump needs peace and time to concentrate on the economy. Paradoxically, the main issues for the US are now: jobs and peace. And this, of course, has triggered a positive earthquake inside Europe - a process that is affecting until now lethargic and suicidal France, Germany, and Italy. It will be a rather non-linear process, but the genie will not go back into the bottle. For these and related reasons, no matter how realpolitik one wants to be, countries like Macedonia have a lot to gain from the existence of the new US administration. The gangs unchained against Macedonia (first and foremost by the Soros machine) are weakened from the source and new instruments of the “deep state” will be created. Macedonia, and so many other countries under the heel of the International community, now have the chance to act independently - with great caution but nevertheless independently. The Macedonian forces that are veterans of the great war of resistance can supply a sort of ideal and programmatic leadership to the growing movement inside many Balkan countries that wants to finally go beyond resistance towards liberation.